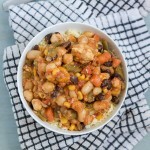 Here we take a slight detour to the east into the couscous zone (not a Balkan delicacy but delicious nevertheless), as we make a couscous sauce with chicken and veggies. P.S. The sauce is versatile. 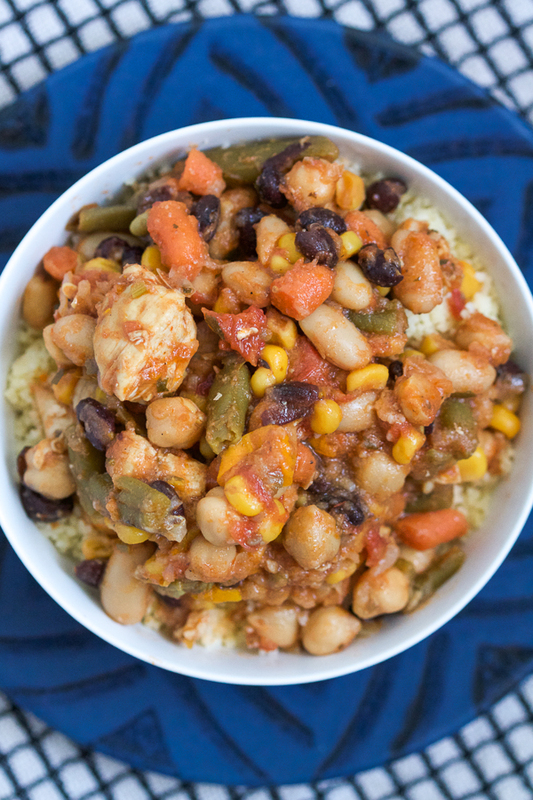 If you aren’t a fan of couscous try it with rice, over bread or with fried mini breads. In early 80s my family lived in Libya for about a year. Yugoslavia and Libya shared expert-exchange programs so it was not unusual for Yugoslav engineers, doctors and medical staff to travel to Africa for the experience and some decent cash. Hot, inviting air followed us all the way to the small inland town, where we were to spend the following year. That same night this hot air turned into the Ghibli: a wind that repeated its visits often. This wild wind (the equivalent of our jugo but stronger, powerful enough to raise the dessert and bring it along on its journey), alone explained why the house we were placed in – a beautiful pastel dwelling, at once modern and simple, elegant and spacious – had concrete floors with no coverings. Each morning, no matter how tight the windows and doors were closed the night before, we woke up with a half an inch of dust layer over us. It was already over a hundred degrees and it was barely spring. Most of the houses in the neighborhood were similar in structure: a rectangle within a rectangle. Rectangular buildings with rectangular gardens inside, that I imagine have been like Frida Kahlo’s home, except more subdued. Inside each house were large rooms: decadent furniture in some, and in some only piles of thin mattresses, blankets and pillows, so that the guests could find respite whenever they felt tired. Whether out of social code, whether out of habit, when we visited our neighbors women took to one room and men to another, kids to the third, and teenagers to yet to a room more. It was these neighbors, a welcoming, large Berber family, who familiarized us with the culture and gave us an intimate insight into the everyday. It was through them we were introduced to – to us – exotic foods such as couscous, and sauces (such as today’s couscous sauce with chicken and vegetables), and bread called asida, that they dipped into a date jam every morning for breakfast. (Dates were picked from the tree in an interesting way: a man would take a large and thick belt, connect himself on one end, and whip the remaining belt around the tree, tightening it into a circle. With acrobatic moves, he’d climb up, pick the dates up, and descend down as if walking on water.) To this day nothing excites the taste buds with the same “new-ness” of taste. Even though I don’t share most of these memories due to my age at the time, my mom’s couscous, taken directly from the kitchen of our Berber friends, takes me back to the north African shore if not in memories, then subconsciously, in my imaginings of how it must have been. There was one taste that was forbidden, and this was alcohol. But leave it to Balkan people to find a work around everything. Most of Yugoslavs thought of making rice wine, something sake-like, but much sweeter, on their roofs. This way it was hidden from the police that would, every now and then, do the check-up rounds when tipped off. My parents, ever the adventurers, made a batch of this rice wine themselves. One day, when they were at work, and my siblings were (not) watching me, I had gotten into the keg. I had just learned to walk, but my brother noticed I was walking more wobbly than usual, and had soon realized what had happened. They tried to sober me up, but I was well into my first hangover by the time mom and dad arrived home from work. Looking back, I am more worried they let me walk on the roof, and that just a few short months after I had crawled into a complex of sophisticated rabbit holes in our garden, and almost disappeared underground. Cut the chicken up into medium sized chunks. When the onion crystalizes, add the chicken in. Simmer for 15 minutes, and add the seasonings. If you are adding fresh vegetables, go ahead and add them now. Otherwise, continue simmering meat for another 30 minutes, mixing and adding a little bit of water at a time. Make the couscous on the side. If you’ll be adding canned vegetables, take them out of cans, wash them really well and leave in coriander. 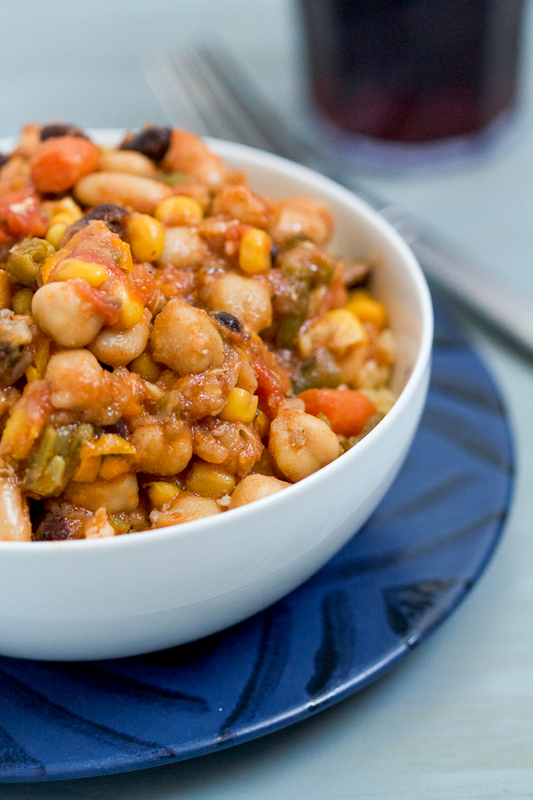 Add canned vegetables to the skillet, and simmer for the final 15-20 minutes. A few minutes before the end, add tomato sauce and sugar, and mix thoroughly. 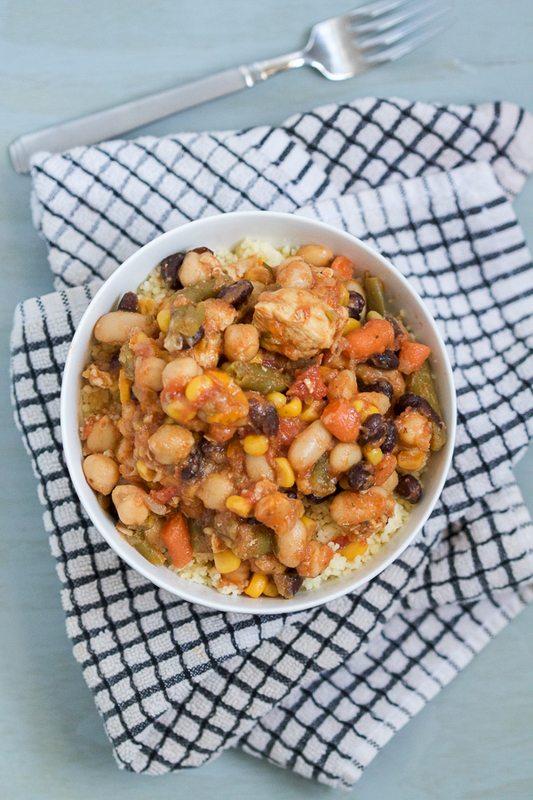 Serve the sauce warm over couscous. If you can, steam the couscous over the sauce as it simmers. 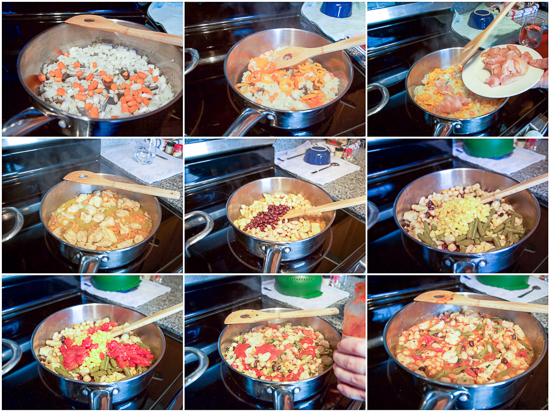 This is a bit complicated, so you can go for a simpler option of cooking couscous based on the box directions. Still comes out great. Also, feel free to use mutton, veal, or fish instead of chicken.